Filmed in North Carolina but taking place in Missouri (Missouri has mountains too), The Show Me State still "shows off" in Three Billboards Outside Ebbing, Missouri (my latest review). "Billboards" stings like a mother and is probably the most violent, in-your-face black comedy since 2000's Nurse Betty. In "Betty", Chris Rock rips the scalp off some schlepped car salesman. In "Billboards", Frances McDormand mutilates the finger of her dentist with his own drill. Restraint? Uh, I don't think so. 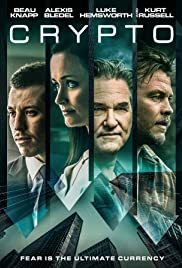 What "Billboards" has is shock value direction by Martin McDonagh, sharp, coarse writing, characters with nasty dispositions, and strong acting by everyone involved. What this film doesn't have is a true resolve, or a sense of relevance, or I guess, an actual ending. 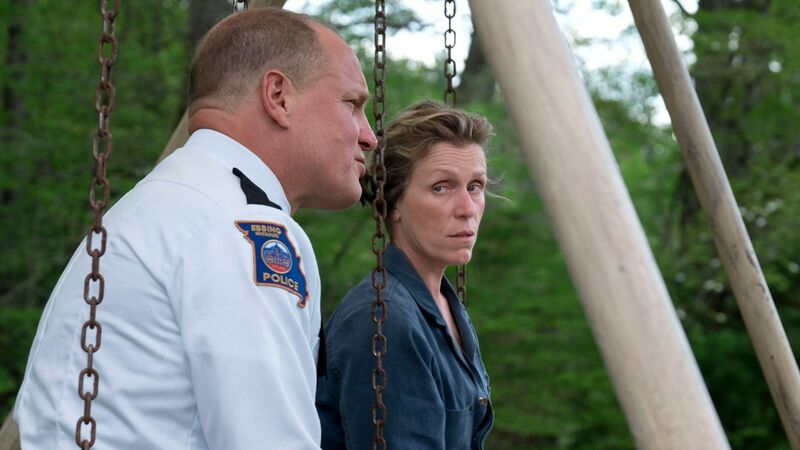 Three Billboards Outside Ebbing, Missouri is a flick that sort of sits there. It's cinematically drunk on style, timed savagery, and derisive dialogue deliveries. I wanted to recommended it but alas, I just couldn't. The storytelling in "Billboards" is one of the straightforward and unmissable variety. It's about the perturbed Mildred Hayes (Frances McDormand). Mildred's daughter Angela, was raped and murdered seven months ago. 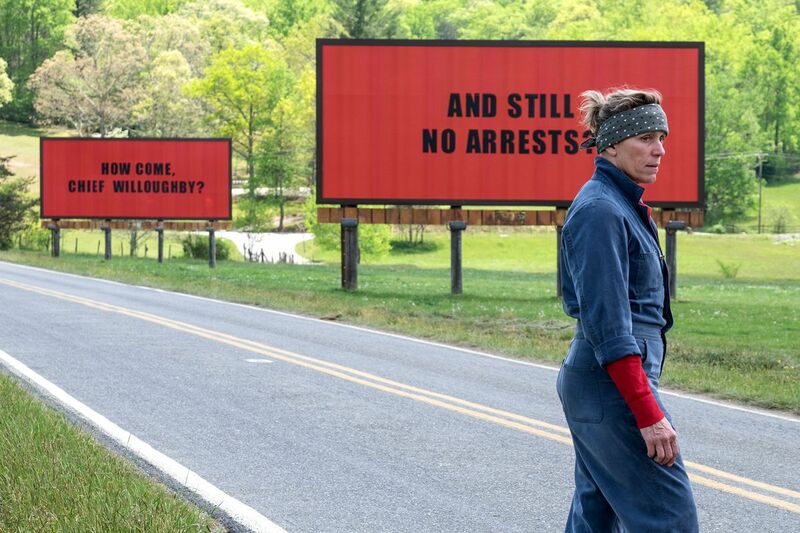 Mad at the police for not following through with the investigation, Hayes rents three billboards outside her hometown (the fictional Ebbing, Missouri). These billboards signify her infused anger and frustration with said police. One of them reads, "Raped while dying". Another one reads, "And still no arrests". Mildred's uncouth behavior ticks off certain townspeople along with Ebbing's dying Sheriff (Bill Willoughby played by Woody Harrelson). Anyway, Three Billboards Outside Ebbing, Missouri has scenes of arson and clips of subtle, racial insinuations. It also features a tracking shot in which a cop beats an ad agency worker and then throws him out of a window. Personas in "Billboards" threaten each other, blood flows freely, and every Mayberry- like transplant seems to collide through a set of almost implausible coincidences (Ebbing is a small place I guess). As far as blackened satires go, Three Billboards Outside Ebbing, Missouri makes you laugh one minute and then makes you squirm the next. It's startlingly entertaining but feels incomplete and irreproachably partial (even at a running time of 115 minutes). My rating: 2 and a half stars.